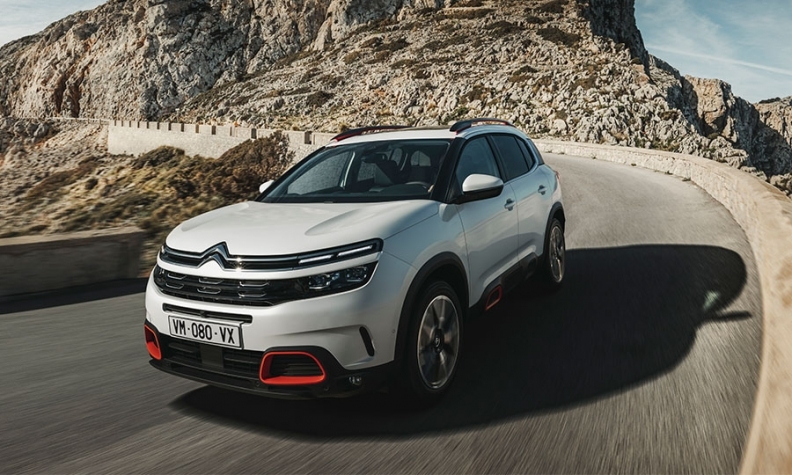 The C5 Aircross plug-in hybrid will be a key part of Citroen’s lineup of electrified models. 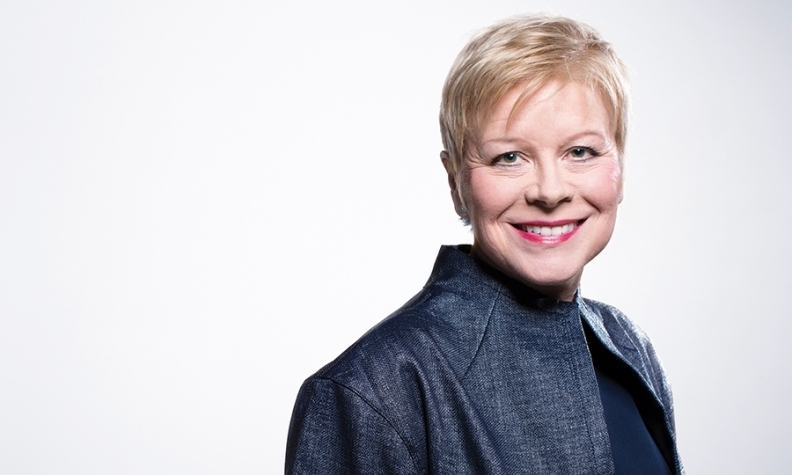 Linda Jackson, who has been CEO at Citroen since 2014, is overseeing an ambitious overhaul of the brand’s lineup with the goal of increasing global sales to 1.6 million by 2020. This year, she has the added responsibility of leading PSA Group’s new low-emissions business unit. Jackson spoke with Automotive News Europe Correspondent Peter Sigal about her dual responsibilities. What is the goal of PSA Group’s low-emissions vehicles business unit? We wanted to really focus on our low-emissions vehicles and strategy. Previously we had people working on the product, but we didn’t have a focus on all the other things you have to introduce. How can we sell electric and plug-in hybrids? How can we price them? What is the impact on residual values? We are also looking at the infrastructure, because it’s all very well having electric vehicles to sell, but if you don’t have charging stations, how will you make it work? Then we have another area of focus, which is: What happens after the sale? What do you do with the second-hand vehicle? What do you do with the battery? The [new business] unit has a profit and loss statement, but obviously it’s difficult because some of the things we will put in place are for the long term. The other thing we are doing is talking to energy companies and startups as to whether we need partnerships. How will PSA achieve the right powertrain mix to meet the EU’s 2020 emissions reduction standards and even tougher targets through 2030? There are two main ways you can create demand [for a certain powertrain], and we cannot control either. One is incentives from governments, and the second is the rules set by governments. If a city suddenly moves to ban diesels and only lets in electric and plug-in vehicles, for example, that is not something we can necessarily influence, and it won’t be consistent across cities or countries. We also go back to this point: We can produce electric vehicles but you can’t support them without the infrastructure. Governments need to think about what they are doing to support [low-emissions] vehicles. Are Citroen’s diesel sales stabilizing or still declining? They are still going down. Citroen is about 50 percent diesel across Europe on average. We can see the take rate declining -- the new C3 Aircross is about 70 percent gasoline. The only area that hasn’t changed is our fleet sales, where they are still predominantly diesel because of total cost of ownership. The minute they change, we will see diesel go down even further. We are not investing in the future of diesel, but what we are saying is that we will provide diesel engines if our customers want them. You will have a plug-in hybrid version of your largest vehicle, the C5 Aircross, starting in 2020. How will you persuade your customers to pay a premium of about 15,000 euros for the technology? The C5 Aircross starts at about 25,000 euros and goes up to 35,000, but we are pretty certain we will sell 90 percent at the highest trim levels, so we are already at the top end. Of course, there will be a premium for plug-in hybrids, but there will be a premium for every mainstream company. From my perspective, we will need to think about ensuring government incentives for plug-in vehicles because of the cost. How will you electrify the lower end of your lineup? The replacements for our small and medium cars will have full-electric versions, using our e-CMP platform. As you go further up the scale, we will have plug-in hybrids on the e-EMP2 platform. Our smallest car, the C1, is on a different platform [B-Zero, shared with Toyota]. I think in the future we will need to think about what those customers want – most are urban, so they will want electric, but will they want that size of car, or a different type? I think that segment will evolve. Citroen has a new design director, Pierre Leclerc, who comes from Kia and has worked for Ford and BMW. What will he bring to the brand? Alexandre Malval, whom he replaces, has done a fantastic job, and he has designed all the models we have now, including the replacement of the C3 and the new SUVs. What we want Pierre to do is to bring fresh eyes. "We can produce electric vehicles but you can’t support them without the infrastructure," Citroen CEO Linda Jackson said. Main challenge: Increasing sales at Citroen while also ensuring PSA Group will meet future emissions standards. This year you were again named by Autocar and the SMMT industry body as the most influential British woman in the motor industry. Exactly. The industry remains dominated by men, especially at the highest levels. How can the gender imbalance be corrected? We need to change the perception of the motor industry. When you talk to women they think that it’s all engineering, but it isn’t. You can move from engineering to styling. You can work in a factory. For example, production at our plant in Rennes, France, where we will build the C5 Aircross, is run by a woman. There is a whole range of things. Second, we need to be able to give woman the ability to have an experience in the auto industry. Most have no idea what we do. They think you either work in a dealership or you drive all the time. We need to really communicate how many opportunities there are. Even in engineering it’s not just about the motor and the gearbox. It’s about all the connectivity, the software, the artificial intelligence. That is pretty exciting. And, why should that be male dominated? There is a lot of discussion about how men and women interact in the workplace – things like bullying, speaking over women when they have something to say. In your experience, is that also a barrier for women? During 40 years in this industry, I have not been discriminated against. I have been very, very lucky. I will also be honest and say that when there are not many women, you are very visible, so if you do a great job it can work to your advantage. That is not what people want to hear, but it’s true. I remember having bosses who were very dictatorial, but I think the whole society has changed and there are very few bosses like that now. I have probably had to work harder. I have pushed myself to prove myself, but at the end of the day this is all about your credibility. Do you have the results? When a senior position opens at PSA, is there an internal push to make sure you have candidates of all genders and backgrounds? We are encouraging more women to be in top management, but we don’t have quotas. I don’t like them. If you get a job because you happen to fill a number, that denigrates your own ability. When there is a top position open, we look at who is relevant, who has the experience, and if there is a woman there who we believe we can give the chance to, we will. When I joined the PSA board in 2014, I was the only woman, and now we have three. So we are moving, but all of these things take time. You have a global sales target for Citroen of 1.6 million units by 2020. Where do you stand right now and where will some of that additional volume come from? Last year we delivered 1.1 million and this year we will probably be about the same, or maybe slightly more. The volume will come from the ramp-up of new models, for example, we are finally launching SUVs, where we were late to the market. The second thing is recovery in China -- our first half was very encouraging, but since it’s our second-biggest market we need to continue that recovery. The third is growing in regions where we have been weak. For example, the launch of the C4 Cactus in Brazil is the start of new international products that we will bring to South America. How much longer will the C4 Spacetourer and Grand Spacetourer minivans be in Citroen’s lineup? Do you need to have a seven-seat vehicle? We can all see that the minivan segment in total is dying, but we are No. 2 in Europe so we still have a substantial volume. We know some minivan customers are looking to get into an SUV. We have a lot of modularity inside the C5 Aircross to attract them.